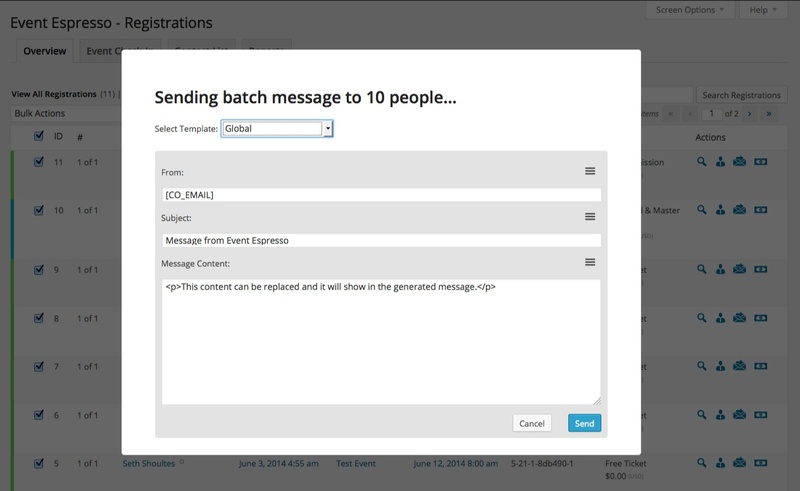 This release brings many improvements to existing core features and a few new features, such as duplicate events, iCal integration, batch email/newsletter system, registration form and payment system optimizations. An Important Calendar Update is Available! If you use the 1-click update feature, please be sure to update the EE4 Calendar to 3.1 BEFORE updating the EE4 core plugin. 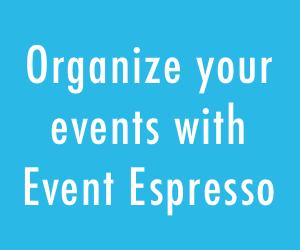 Starting with Event Espresso 4.3 you can offer discount pricing and/or graduated pricing based on ticket quantities. 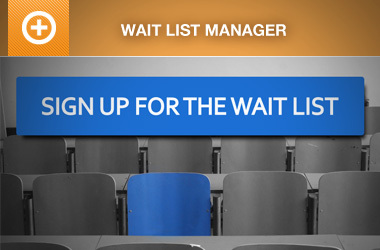 Can be used to set a per ticket price, based on a pre-defined quantity of tickets. 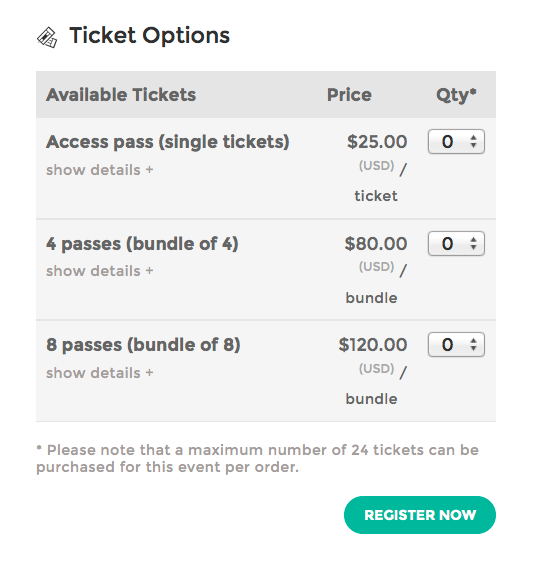 This article shows how to create a ticket bundle where you can set a lower price per ticket when purchased in a bundle. 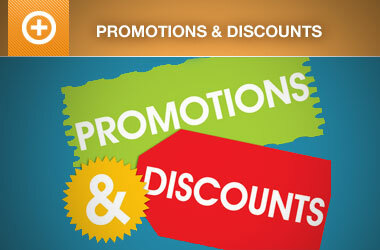 Can be used to set a per ticket price, based on a quantity range of tickets, similar to a tiered pricing structure. This article shows how to set graduated ticket pricing where you can set a lower price per ticket for larger quantity ticket purchases. 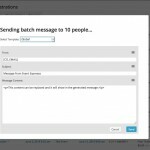 We’ve improved the Custom Template System, added a “Newsletter” Message Type for sending batch emails, and made a couple of minor updates. 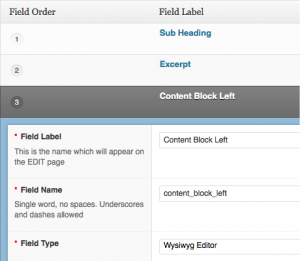 Fully customize WordPress edit screens with powerful custom fields, using the Advanced Custom Fields plugin for WordPress. We’ve added several new hooks and filters throughout the Single Page Checkout system to give developers the ability to integrate with this awesome plugin. This time around we’ve spent some time making sure the payment processing features work better, faster, and are easier to understand for your customers. We’ve also added better support for tracking partial payments. Also, It would be soooooooooooooooo great and much easier for us developer if you had a fairly complete list of these wonderful hooks and filters you keep adding in! A section in the documentation would be absolutely friggin swhunging fraggletasticly wonderful! You don’t need to provide example of each one but a list with the hooks name and parameters (and type of those parameters) would be so friggin helpful I’m all but weeping of joy at the mere idea! Hi Jonathan, Sorry about that, and thanks for pointing it out. It was scheduled for 12pm today (MST I believe), but I have brought it forward so it should be accessible now. We do have http://code.eventespresso.com/ which is a script generated list of functions etc. It’s not perfect, but may assist in the interim. While a search in the code would reveal the filters and hooks, I’ll add a request for more formal documentation in the future. Keep your eyes on developer.eventespresso.com. We are using that as the space to created developer centric documentation and are slowly adding to it over time. In the meantime, we follow a consistent naming schema for all our filters and actions. All our filters are prefixed with “FHEE” and all our actions are prefixed with “AHEE”. Most IDE’s or text editors have fairly good search tools, so you can use that to generate a list of all actions and filters available in the code. Where is the duplicate event button? I’m not seeing it anywhere. I was looking for that button also. Thanks, Josh!